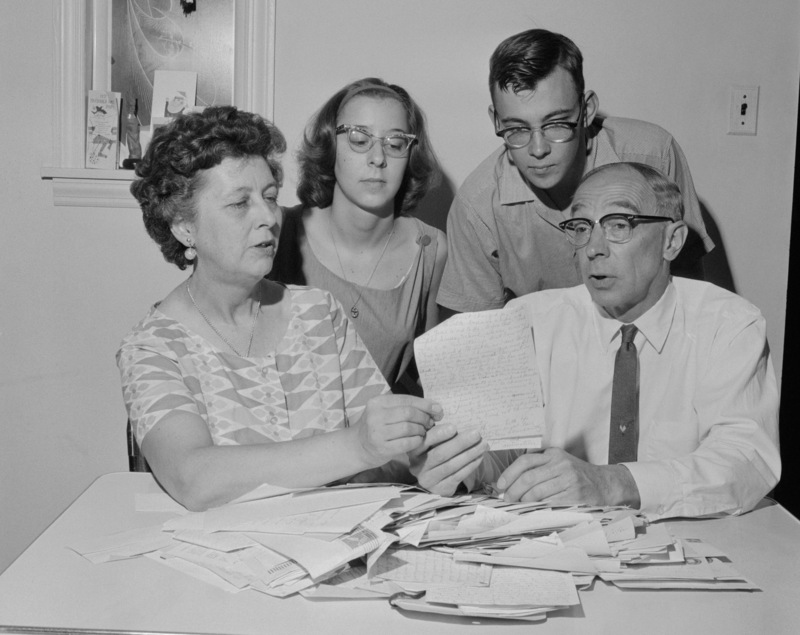 Mr. and Mrs. Edward L. Schempp reading through letters of support in their lawsuit against compulsory bible reading in public schools, Abington, PA, June 17, 1963. The home to many devout religious communities, Pennsylvania in the late 20th century was often prominent in national campaigns related to home schooling and school prayer. A lawsuit filed by Edward L. Schempp, a parent of a school child in Abington, PA, led to a landmark Supreme Court decision on June 17, 1963 that banned compulsory Bible reading in public schools.